The car is stocked. Water, snacks, your spare set of clothes, they’re all in the boot. Your friend has everyone’s registration forms. You’re all prepared. Your friends have piled in. The music is blaring, the GPS is set, everyone is ready. 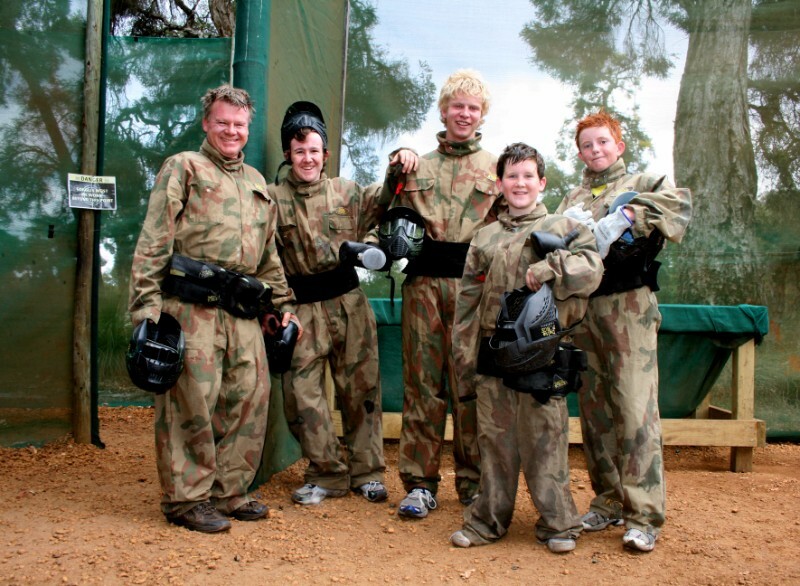 It’s time to go paintballing. 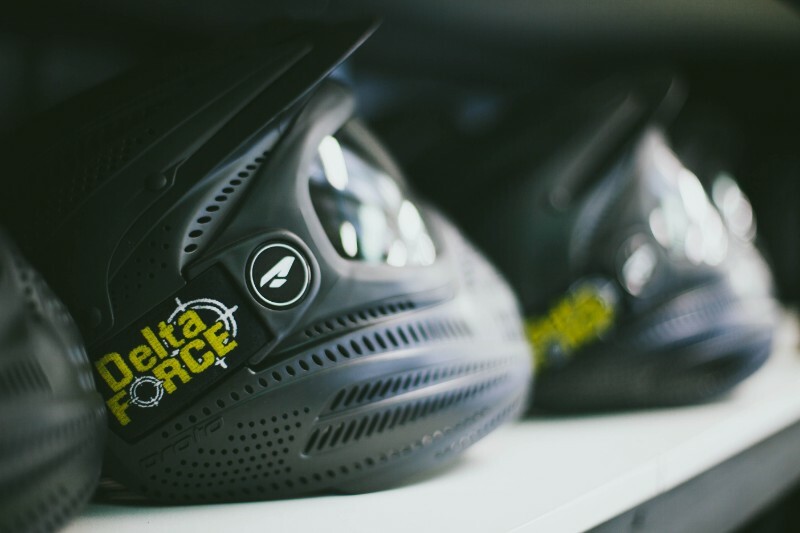 You arrive at Delta Force Paintball. You’re greeted by a grinning marshal, who takes your rego forms and walks your group to the desk. You get kitted up with the full body combat suit, the mask, the body armour and of course the all important 400-capacity ammunition holder. You all put your order in for lunch time pizza. It’s impossible to resist the temptation of a hot, cheesy pizza. Your group has all gotten a group pack, so everything has been paid for. The guy behind the desk hands over your ammo, your gloves and some protection for the crown jewels. You can’t compromise on the safety of your crown jewels. Your group walks over to one of the picnic tables in the base camp, setting down the cooler and their gear. You’ll come back here in between games, so it’s good to have your own table. You all put on your combat suit over your t-shirt and shorts, you know it’s going to get hot today. A marshal yells out, it’s time for the briefing. The marshal grabs a microphone and talks everyone through the health and safety briefing, and teaches you all how to use your paintball gun. You’re all divvied up into teams, you can tell by the tape around everyone’s arms. The group is ushered through to the gun zone, where you all receive your paintball gun. After a few rounds on the shooting range you’re feeling pretty good, you’ve got a straight shot. The marshal does the final check on everyone, making sure their masks are secure and that everyone’s ready for action. You head off to your first game with your fellow players, the excitement is running high. 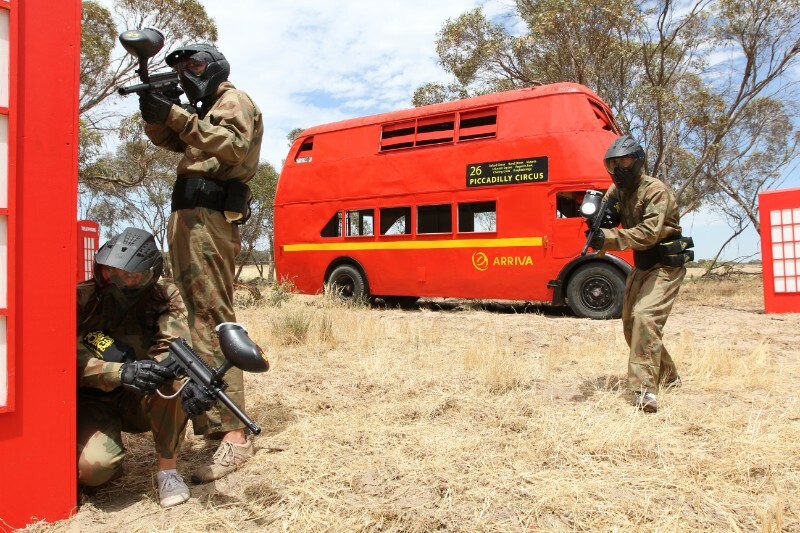 You will encounter 12 – 14 action-packed and exciting scenarios that’ll test the skills of both novice and experienced paintball players alike. With points being awarded for each game, your team must take all possible chances to capture the ancient artefact from the pyramid, and not squander the chance to take out the fuel depot. At 1pm you all head back for lunch. Your pizzas are everything you hoped they would be. 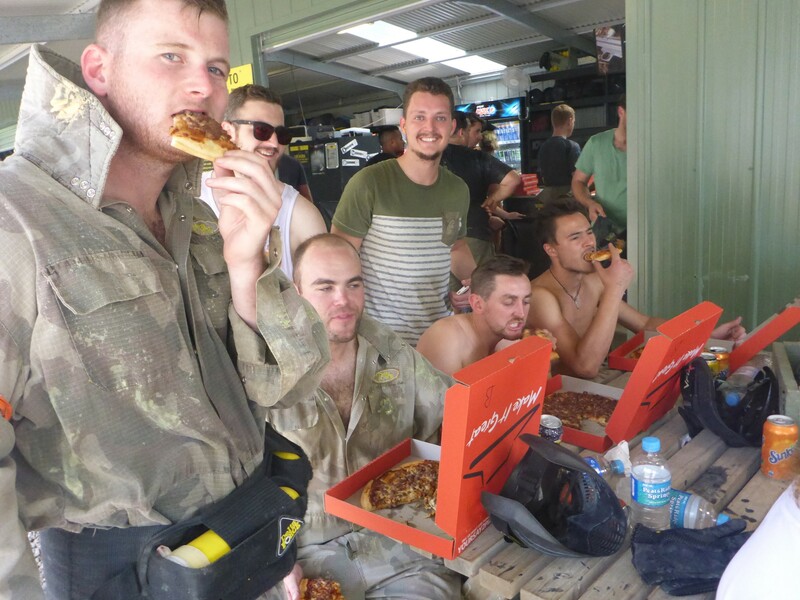 You have your pizza, and some of your own snacks as you and your team discuss the strategies for the next game. Your group spends the afternoon running, diving behind bunkers and crawling to the next vantage point. When the marshal calls the final game finished, you head back to base camp. 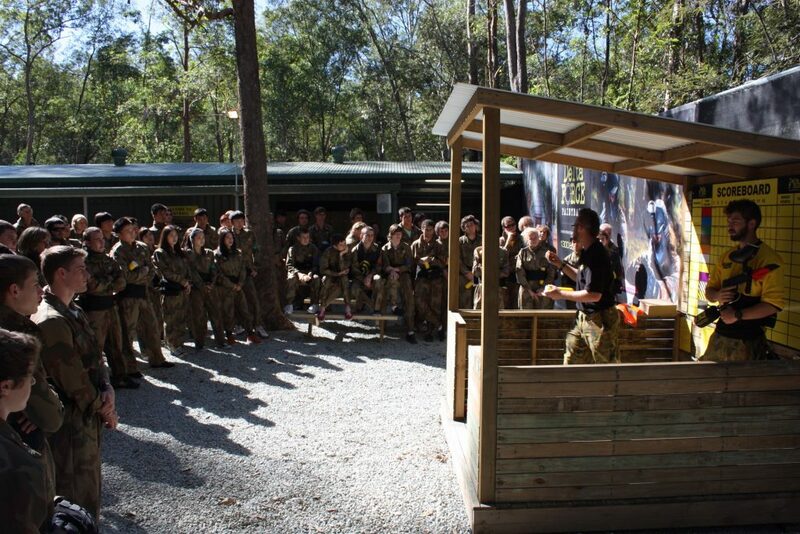 Photos are taken with your group and your awesome marshal, before you all change into your dry clothes (who knew paintball was so sweaty! ), and prepare yourselves for the afternoon presentation. Your mate was awarded the top gun of the day (no surprise, he plays enough Call of Duty)! You all laugh through the other presentations, before heading back to the car at around 4pm, exhausted but happy. That’s the Delta Force Difference.